PLEXUS celebrates the artistic richness and depth of our amazing city by offering three world premieres from three stellar Melbourne composers. Michael Bakrnčev, Elliott Gyger and Linda Kouvaras will share their compositional wonders, and take us on their three very distinct musical journeys. PLEXUS continues to pay homage to the Verdehr Trio by presenting another of their commissions Trio by the eminent Canadian composer Stephen Chatman. The provenance of this piece is the colourful world of jazz as shown in his exuberant offering of three movements titled Scales, Blues and Dance. For the grand finale, PLEXUS is joined by the exquisite cellist Michelle Wood as they unearth a rare gem – the Hindemith Clarinet Quartet from 1938. This gorgeous piece clearly crowns Hindemith as the natural successor to the throne of great German compositional tradition, following Bach, Beethoven and Brahms. PLEXUS brings together the talents of three of Melbourne’s most vibrant and versatile musicians, with a goal of commissioning and celebrating Australian and overseas composers. The name PLEXUS reflects the ensemble’s devotion to engaging an ever-growing network of exceptional artists across a variety of disciplines, facilitating their contribution to Australia’s rich and diverse cultural landscape. 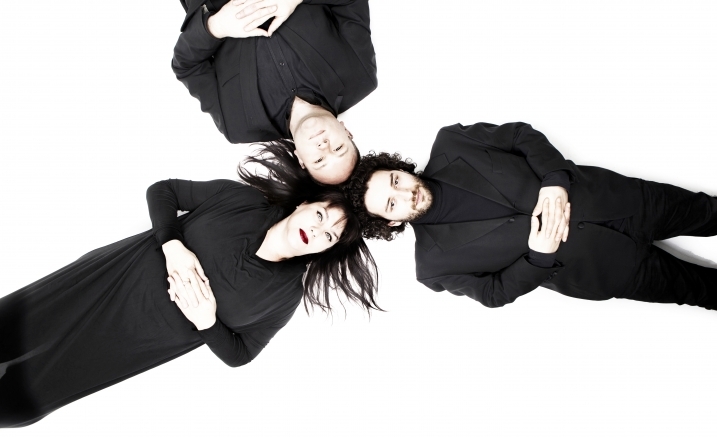 Formed with a mission to follow in the footsteps of the acclaimed ensemble of the same instrumental combination, the Verdehr Trio, PLEXUS brings to Australian audiences the most significant and culturally relevant of these works and continues in the Verdehrs’ tradition, commissioning Australian and international composers on a regular basis. Since launching in 2014, PLEXUS has commissioned over 100 composers and has given over 70 world premieres. Widely acclaimed for its ongoing commitment to Australian music, PLEXUS was shortlisted as a finalist for the 2016 Melbourne Music Prize Outstanding Musicians Award. This concert is set in-the-round. Seating in the Salon is general admission. Purchase the PLEXUS season ticket package and save!